Life is stressful. It can be tough to meet all of your personal and professional commitments and stress and anxiety can pop up at nearly any time. The good news is that there are several different things that you can do to feel calmer and more relaxed. Here are some tips for healthy ways to beat stress. Exercise is an excellent way to relieve mental stress. Exercise lowers your body’s stress hormones and helps release endorphins, which can improve your mood. You may feel as thought you don’t have enough time in your day to exercise and even thinking about it can make you feel even more anxious, but know that you don’t have to spend an hour in the gym to get some exercise. Go for a walk during your lunch break, run some errands by foot instead of talking the car, or meet up with your friends for a walk around the park instead of a drink at the local coffee shop. All of these activities will help you stay active and reduce your stress. Most of us don’t get enough sleep. The average adult needs between 7 and 9 hours each night. An inconsistent sleep schedule can make you feel more stressed and anxious, as can interrupted sleep. To improve your sleep, give yourself a “bedtime routine” that you stick to every day. Do something relaxing (such as taking a bath, reading a book, or listening to calming music) to help prepare yourself for sleep. Stick to a consistent sleep schedule (even on the weekends) and try to avoid screens such as your smartphone or laptop in the time before bed. A messy home or work space can make it more difficult to relax or focus, which can be very stressful. Spend some time cleaning up your desk, office, living room, bedroom and any other areas where you spend a lot of time. Your reward will be a less stress and anxiety. Sugary and processed foods can increase anxiety and stress, so limit these when possible. Instead, try to consume a well-rounded diet of foods from all of the healthy food groups. 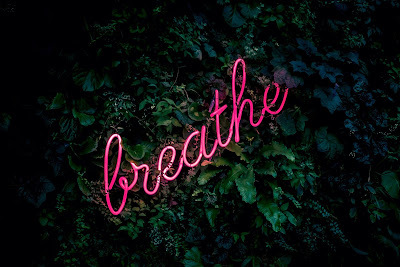 Take some time each day to really breath. Short or shallow breaths can make it tough to relax, so spend a few moments breathing slowly and deeply. This can help your mind and body relax. This tip is especially helpful when you feel yourself becoming anxious or worried.